Design, performance, and lifestyle factors contribute to determining which kind of flooring is right for you. Does your family remove shoes before entering, are your pets house-trained, or do you take food into the living room? All of these living habits will have an effect on the materials you choose for your flooring needs. Answering questions such as these will help you decide whether carpet, hardwood, laminate, tile and stone, or vinyl, is the best choice for the look you want and to meet your needs, as well as build synergy in your home. Let’s take a look at a few of the advantages and disadvantages of various flooring options. With carpeting, you have many options for textures, types of yarn systems, colors, patterns, prints, and more. Some of the strongest advantages of carpet over other systems, is that it is softer, quieter, and warmer, which is especially beneficial in the winter. It is also easier, faster, and cheaper (⅓ to ½ the cost) to install than wood flooring. Quality carpets can last for 10 to 15 years, and because carpet hides dirt, it does not need cleaned as frequently as wood or laminate flooring; although, the life of your carpet can be extended with frequent vacuuming (once a week for a family of four) and steam cleaning at least once a year. Keep in mind that carpeting stains, which never really go away, and that it can become matted over time, but these days there are more stain-resistant synthetic fiber choices as well as more efficient vacuum cleaners, making cleaning less of a chore. Although hardwood flooring can require a higher upfront investment than other options, it truly adds lasting value that other systems can’t match. 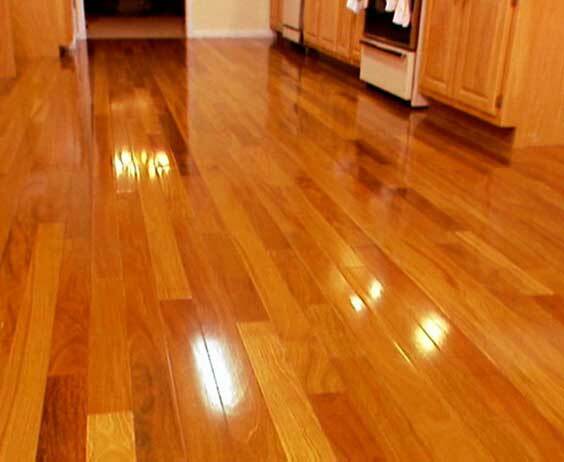 Hardwood floors are long-lasting with the potential to be refinished many times to freshen the look. Options such as hand-scraped wood flooring, which has deeper grooves, hides the small dents and wear that can come from active families and pets. Wood also helps alleviate allergies, and wood is a sustainable, renewable, and natural material. As far as cleanup goes, it is easier to spot spills, pet hair, crumbs, and other debris on hardwood floors, but wood needs to be cleaned (usually vacuumed or swept and mopped or hand washed) more often than carpet. Due to durable melamine plastic wear layer used by manufactures on the top surface, laminate is offered in noise, scratch, and water resistant versions, as well as high traffic laminate. It is better for your wallet than any other flooring option on the market, being even less expensive than carpet, and unlike hardwood, tile, or carpet, laminate flooring does not fade in the sunlight. Also, there is no need for any glue, because laminate flooring snaps together with a tongue and groove click system. Finally, it doesn’t matter what your subfloor is made of, because laminate floors float, meaning they can be laid on top of wood, plywood, concrete, or even existing vinyl flooring. Tile is most often used for entryways, and in kitchens and bathrooms. See our masonry section for materials and techniques used to lay your tile and stone flooring. Vinyl flooring is durable and holds up well to lots of foot traffic, however vinyl floors do not stand up well to heavy loads and can be damaged by sharp objects. Also, colors can fade with exposure to direct sunlight, and floors can be damaged by extreme temperatures. For that reason, vinyl is not recommended for outdoor or indoor/outdoor uses. It comes in a broad range of colors and patterns to match every decor, including wood grains, and it is less expensive than many other flooring options, as well as easy to install and maintain. It is not recommended to layer new vinyl over more than one layer of existing vinyl, because if the lower layer is patterned, the texture will eventually show through your top layer. Vinyl flooring can be laid on top of concrete, but uniformity and smoothness can be a problem.The best subfloor is a layer of well-sanded plywood, which will give you a better feel under foot.